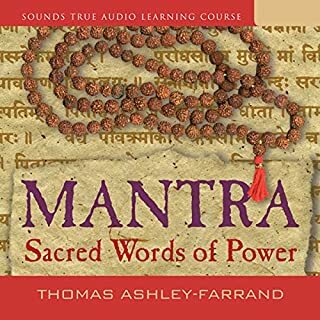 Chakras: This audiobook contains a detailed overview of a truth that has long been hidden from us in the West. 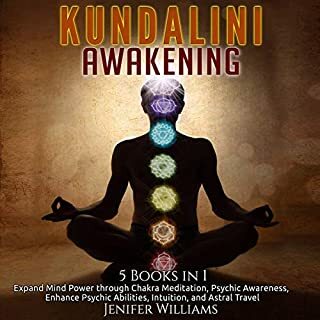 Kundalini: This audiobook aims to deliver an understanding of what Kundalini practice is, plus a brief history and other background information to help you gain a more complete context. If you are looking for a practice that promotes your ability to uphold human values and focus on compassion and the oneness of the Universe, try Kundalini Yoga. Often known as laya yoga, or the yoga of awareness, it focuses on awakening the kundalini energy that lies dormant at the base of the spine. 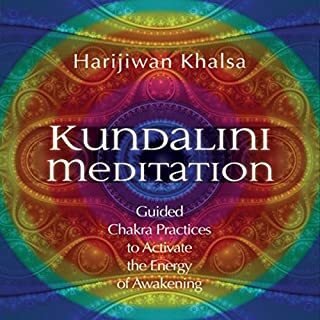 Kundalini yoga combines pranayama, meditation, yoga poses, and mantra chanting to awaken this spiritual energy that lies coiled up at the base of your spine. It was developed as a part of tantra alongside hatha yoga. Everybody has the power to be a positive and light person. With some kundalini meditations, you can be a powerful lightworker to bring the world happiness. Don’t continue walking through life with low-level energy causing you to feel down and depressed. 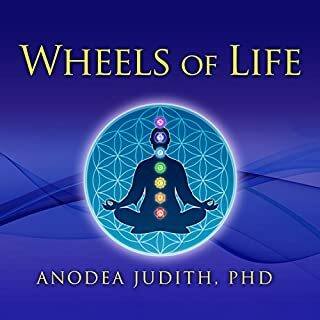 Get this audiobook today to bring your energy higher and feel better. Listen and learn from it! Really didn't understand what was happening. This audiobook explains everything. If you are having kundalini and don't know what to do or what's going on. Please get this book. 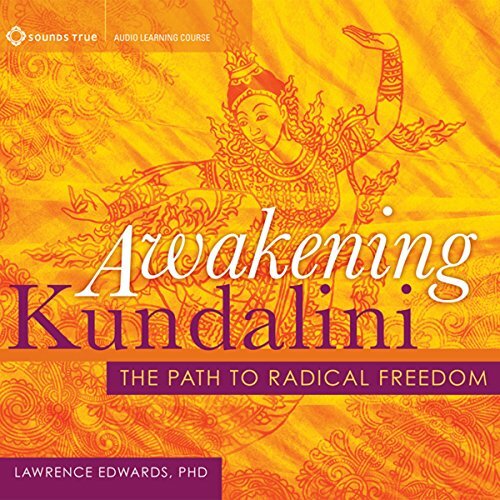 Awakening Kundalini was well narrated and Lawrence Edwards' voice was very soothing during the guided meditations. 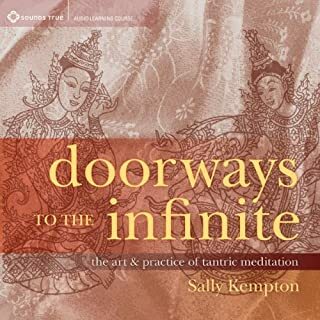 It would be helpful if the chapters were titled in Audible so that one could return to the various meditations easily. Thank You. ABE from Sunny San Diego! This is a very thorough intro. Not a how to. It provides a basis for understanding the process of the awakening as well as the reality of what it means. I appreciated the fact that the most important thing to understand is personal accountability through our spiritual development. The exercises at the end of the chapters are very helpful too. if he shut up for 2minutes and gave us some practical techniques rather than theory and stories. Would you ever listen to anything by Lawrence Edwards again? disappointment, this guy literally talks about kundalini, gives really weak meditations, then tells you to start using mantra's because they're the quickest way to open kundalini. I'll save all of you 8 hours of your life. go study mantra's and cross your fingers that your kundalini awakens. that sums up this audio course. This book helped me understand one of my most difficult times in my life. Lawrence Edwards is an amazing, beautiful, profoundly knowledgeable spirit. I experienced a spontaneous kundalini awakening that turned my world upside down. Through his reading I was able to grasp, understand and ultimately master my spiritual expansion. A must read for all of those growing as a soul on this earth. Not a book, just a rambling, shambling monologue. I made it an hour in... painful. Can I get my money back? I have listened to many parts of this book several times, and I learn something new each time. The author's sincerity and depth of knowledge on the topics are clear, the storytelling relevant, and the exercises meaningful. My goals and path are clearer. Highly recommended. I learned a lot and the author has a clear and powerful yet gentle way of delivering the content. I feel enriched! This is more like a podcast, not a guide. This just talks about things, like, what is a mantra, what is a myth, then randomly just jumps into telling you some of those myths. Even with the explanations of things, it is not done in a way that will help you remember any of what he is saying. Think of a really bad professor where you walk away from the lecture wondering what he was trying to teach you. I am sure there are points, but they are not articulated well. For example, he randomly jumps into a long story about a woman, Anana, who chooses to go into the underworld. He talks about this for a long time without getting to the point, until finally she is killed. Finally, he explains that the descent and ascent into Kundalini is sometimes by choice. This could have been summed up into a few sentences, but instead you sit through a very long boring story. Then he abruptly jumps into the story of Persephone and Pluto, and finally the point is to show how in this case, she didn't choose to go into the underworld. Main point: sometimes we experience kundalini by choice, and sometimes life puts it onto you. It is incredibly long winded, and the principles behind the stories could be made apparent concisely, but this goes into long elaborate stories of mythology until finally getting to the point an hour or more later. I was really worried it would be exactly what it turned out to be. 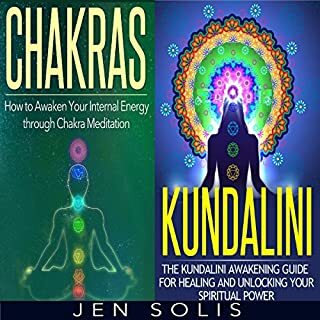 If you are looking for a guide to awakening Kundalini, you won't find it here.